BIRKENHEAD. 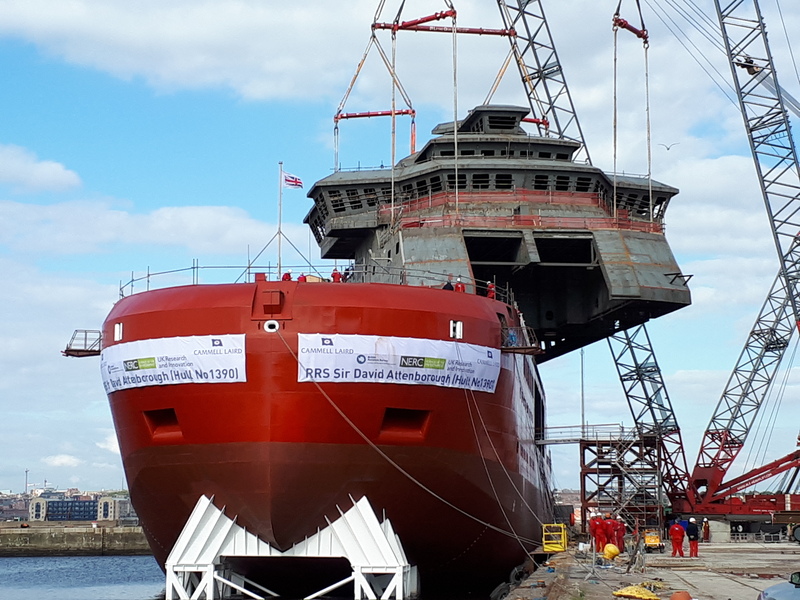 The superstructure of the new polar research ship for Britain, the RRS Sir David Attenborough, is now on top of the hull. 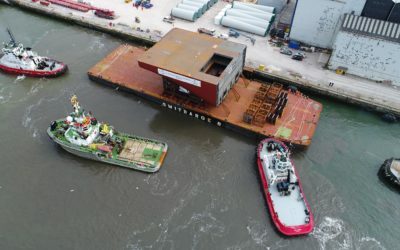 Following the launch of the RRS Sir David Attenborough’s hull at Cammell Laird shipyard in Birkenhead on Saturday 14th July, the 535 tonne superstructure known as Block 51 was moved out of the construction hall. Two 800-tonne capacity cranes lifted the 40m long and 30m wide block into position on top of the hull. The video below shows the scale and complexity of this major engineering operation. 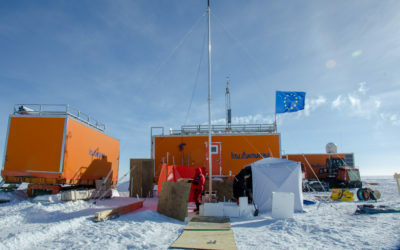 This block contains the final 6 decks of the ship and includes the bridge, helicopter hangar and accommodation for the crew, scientists and support staff. 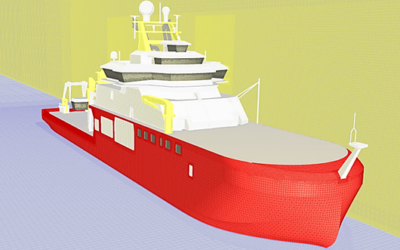 The next step in the construction is to connect the superstructure to the hull. After this is complete the 50 tonne cargo crane will be installed and the ship will be moved to dry dock. Once in dry dock the outside of the ship will be blasted and painted, propellers installed, and the scientific transducers fitted to the bottom of the hull. 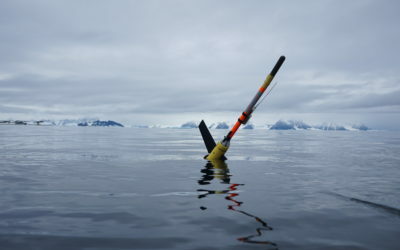 The new ship is a major UK Government investment in frontier science. 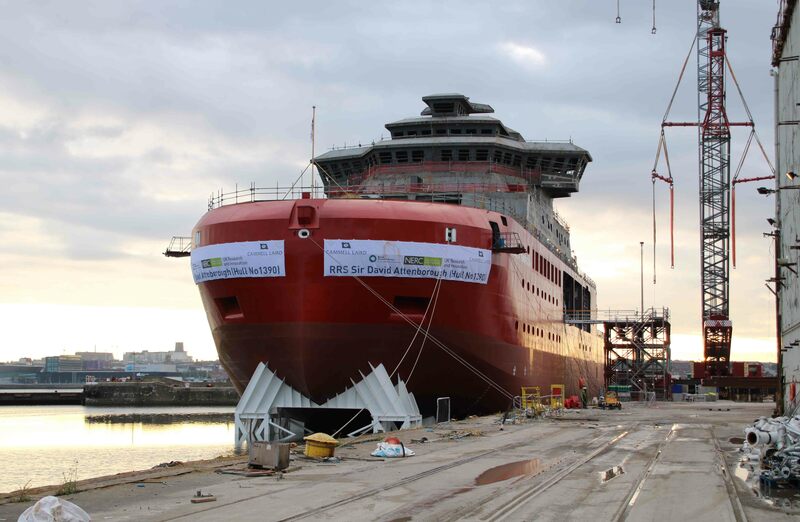 Commissioned by NERC, and built by Cammell Laird Shiprepairers & Shipbuilders Ltd to a Rolls-Royce design, the RRS Sir David Attenborough will be operated by British Antarctic Survey when the ship enters service in 2019. Two 800-tonne capacity cranes lifted the 535 tonne superstructure onto the hull. Photo credit: Tony Graham. The RRS Sir David Attenborough in the wet basin following the superstructure lift. 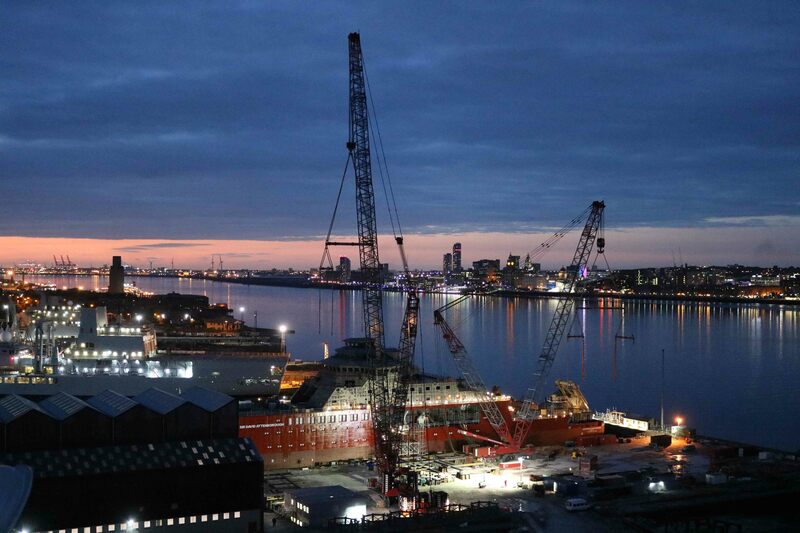 Photo credit: Jon Payne (Cammell Laird).